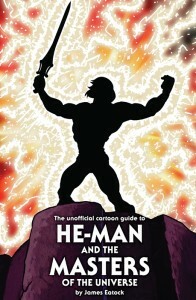 The Unofficial Cartoon Guide to He-Man and the Masters of the Universe Reprint is available for Pre-Order right now! If you missed out on this book the first time around, I would highly suggest picking it up! This book is chock-full of amazing information! It’s a perfect companion to the classic Filmation cartoon series, and a must-buy for all fans of the series! The book is already on it’s way from the printers, so you can Pre-Order today and have the book in your possession in a few weeks! Don’t miss out! Click here to Pre-Order your copy today! Unofficial Cartoon Guide to He-Man second printing is a go! Dan do you know if James will have copies for sale at Power Con?